Home / Client Authored / Join Us at the NW Ergomania! Join Us at the NW Ergomania! On February 6, a fun local event for all ages is put on by the George Pocock Rowing Foundation. As most of you know, I was a part of the World Champion Rowing Team in 1997, and my wife Anna is a former Olympic rower. 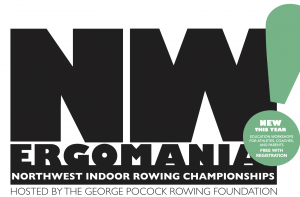 Rowing is a popular activity in our area, and we invite you to join us at the NW Indoor Rowing Championships, aka NW Ergomania! The event takes place on February 6 from 8 a.m. to 5 p.m. at Hangar 30 in Magnuson Park. You’ll see athletes, coaches and parents there to participate in a variety of activities. Educational workshops will be offered to youth, junior and masters athletes, coaches, parents and sports administrators. The workshops are free with registration on Regatta Central. Over 20 categories of events are held such as adaptive events and 500-meter dash sprints. The best part is that you can have a whole day of fun with the family because food and merchandise vendors are around for sustenance and to entertain you when you need a break.